Body painting is a form of body art where artwork is painted directly onto the human skin. Unlike tattoos and other forms of body art, body painting is temporary, lasting several hours or sometimes up to a few weeks (in the case of mehndi or “henna tattoos” about two weeks). Body painting that is limited to the face is known as “face painting”. Body painting is also referred to as (a form of) “temporary tattoo”. 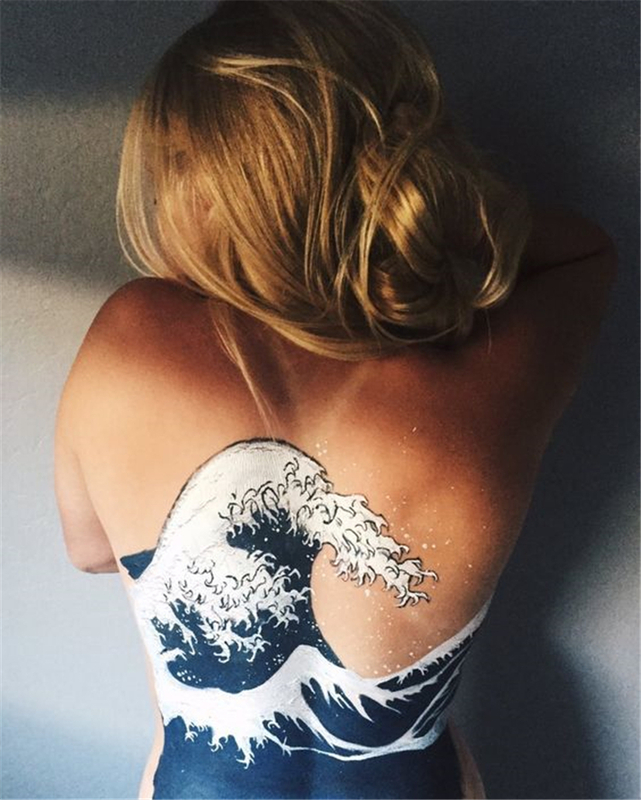 Large scale or full-body painting is more commonly referred to as body painting, while smaller or more detailed work can sometimes be referred to as temporary tattoos. The same precautions that apply to cosmetics should be observed. If the skin shows any sign of allergy from a paint, its use should immediately be ceased. Moreover, it should not be applied to damaged, inflamed or sensitive skin.